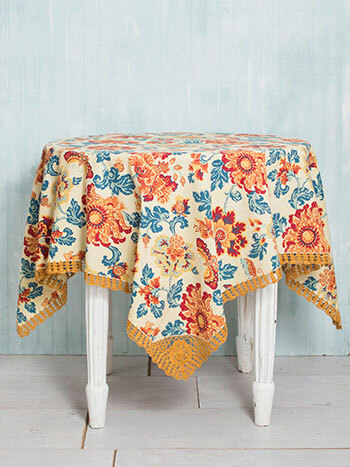 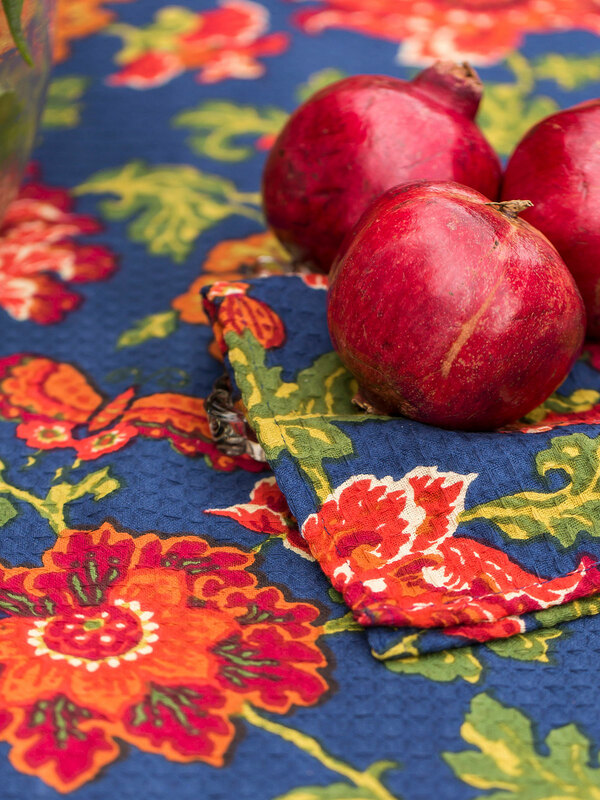 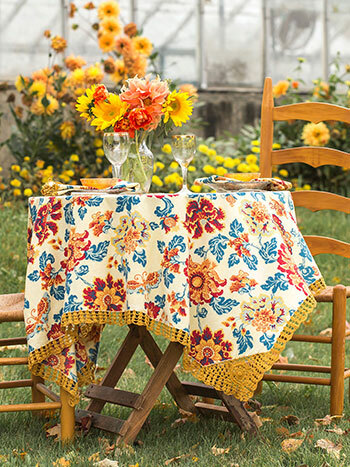 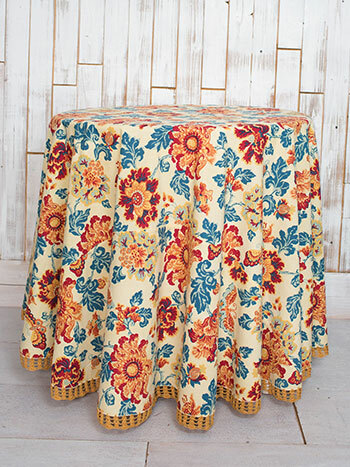 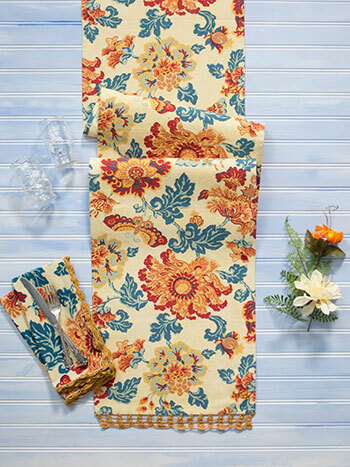 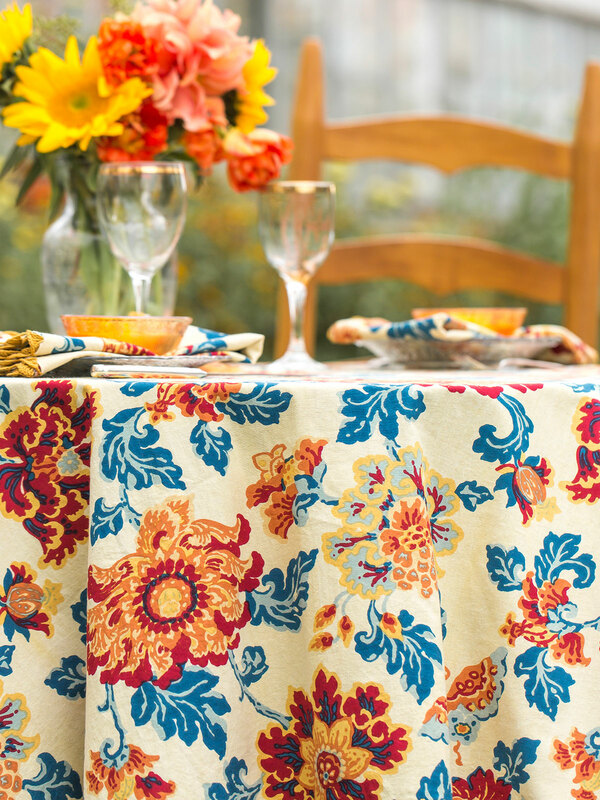 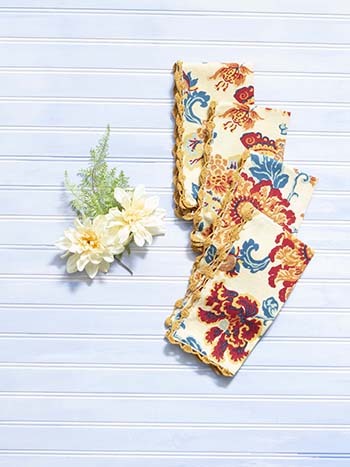 I bought this tablecloth specifically to use with my polish stoneware dinnerware. 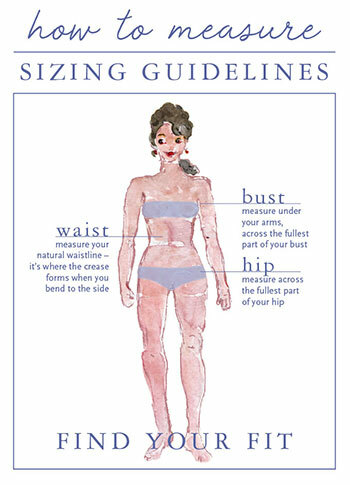 It could not be more perfect. The colors are bright but classy. 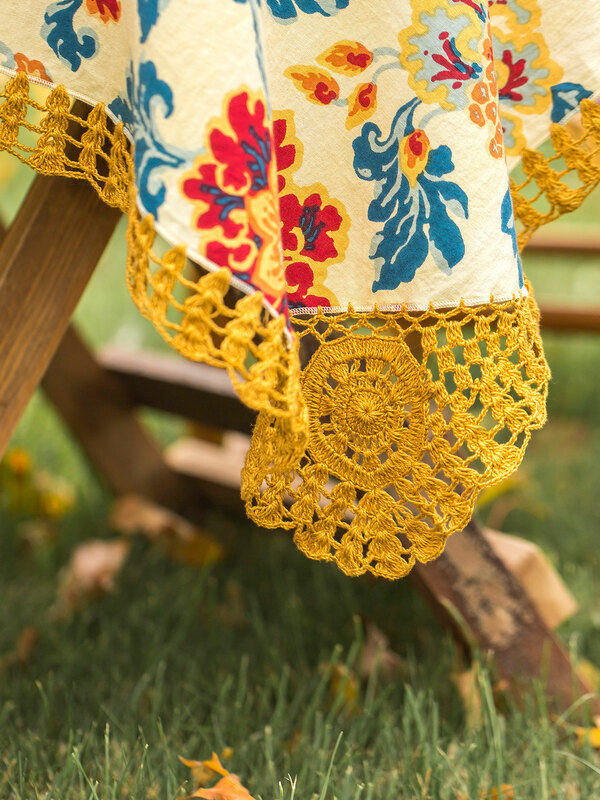 The crocheted trim adds beauty and a bit of bo-ho. It makes me smile when I see it!